Is Starbucks Open on Easter 2018? Home > Easter 2018 > Is Starbucks Open on Easter 2018? Is Starbucks open on Easter? Yes, most Starbucks locations are open on Easter. The famous coffeehouse will be open for business today at most of their locations. Starbucks Easter hours are from 12:00 p.m. to 6:00 p.m on Easter Sunday and 10:00 a.m. to 9:00 p.m. on Easter Monday. However, this might not be true for all the locations. You can either go to Starbucks website or call up your nearby Starbucks location to confirm their hours. Starbucks is not only open on Easter, but they have introduced limited edition spring-inspired cups. The coffeehouse giant introduced fresh new cups on March 16 to mark the onset of spring. Standing tall beside their iconic white and green cups, are the new Starbucks spring cups in three pastel colors—sunny yellow (Venti), robin’s egg blue (Grande), and leafy green (Tall). These spring-inspired cups look so attractive that a cup of coffee from Starbucks is hard to resist, even for non-coffee drinkers like myself. A warm or cold coffee drink in fresh pastel colors will surely set the spring mood and inspire many Instagram posts. Some of these new Starbucks spring cups have no logo, while others have sharpie doodles instead. The new spring-inspired cups are a must to check out this Easter. Whether it be Easter or Christmas, Starbucks has never failed to delight their fans with new, holiday-inspired cups. Their 20-year-old tradition of red holiday cups is a custom most of us look forward to every year. Starbucks regulars are quite touchy about their Starbucks cups. There have been a few occasions where Starbucks got carried away with their holiday cups and were not well-received by loyal patrons. For example, last year, they launched a green cup that was not a “holiday cup” in the eyes of their customers. 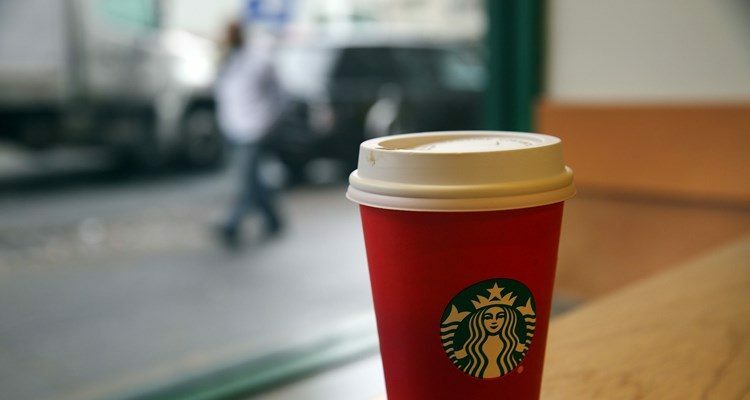 In response to the outrage, 10 days later, Starbucks released its traditional red cups, only more red and Christmas-y to their fans delight! So, before you misconstrue these fresh pastel-colored cups as “Easter” cups, let me tell you that they aren’t. These are specially made to make your cup of coffee appear captivating and exciting. It is a new cup to celebrate spring with Starbucks. If the Starbucks in your town or city is open on Easter Sunday, why not stop by before going to church? Enjoy a frappuccino or macchiato in the limited edition spring cups. Maybe it will have a bunny doodle on it. “Starbucks Hours for Opening & Holiday Schedule [UPDATED],” Secret Menu; https://secretmenus.com/starbucks/hours/, last accessed April 11, 2017. Galarza, D., “Starbucks’ New Spring Cups Are Not Easter Cups,” Eater, March 10, 2017; http://www.eater.com/2017/3/10/14875358/starbucks-spring-cups-2017, last accessed April 11, 2017.